Look around the room? Can you remember the last time you were in a classroom where every single person was from the same country as you? Probably not for awhile and it will probably never happen again. At the University of Iowa, there was very little diversity. 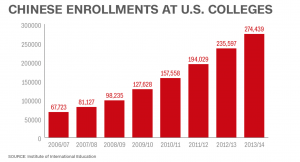 In 2007 there were only 100 Chinese students and today there are over 3,000 Chinese students. With this extreme boom in the international diversity and expansion at the University of Iowa, man social changes have occurred. Businesses and companies took advantage of this new target audience and began opening up restaurants and stores that sold Chinese and other international products in attempts to make the new student population more at home. What did this also do? It expanded the global economy. At the University of Iowa international students $70 million a year in tuition and pump over $100 million a year into the local economy. This is a prime example of how globalization spreads and expands constantly with the trade of goods, ideas, products, and especially people. 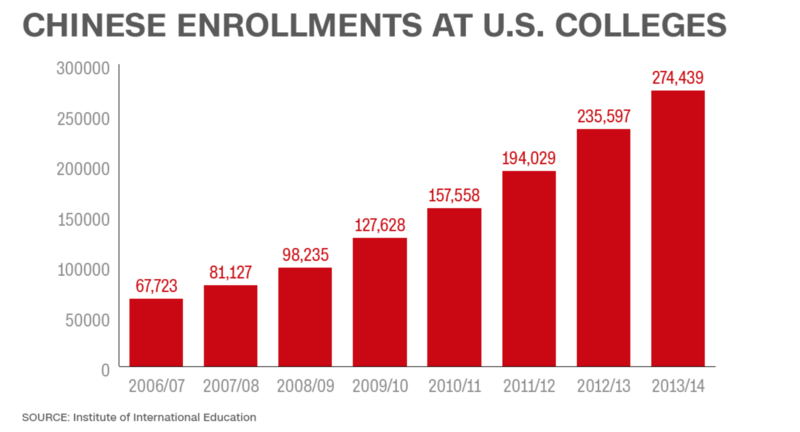 The Chinese economy tripled and parents were able to send their children to American Universities. Universities are still businesses and have decreased their instate enrollment in order to accommodate all of the international and out of state tuition. Globalization spreads ideas and knowledge and goods, and these processes come from people. 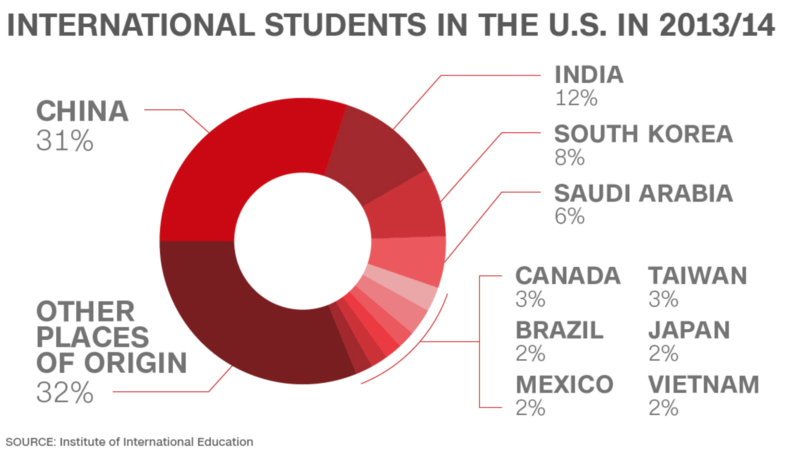 When the United States was deep in the recession a big contribution to our aid was our international economy which education plays a large part of. With this type of Globalization comes the responsibility of integration. A girl at the university started a club for the mental health of the international students. This club expanded and helped the international students engage more with the American students, which again helps Globalization be a positive aspect of our society. Do you think universities would last without the international “aid”? How important do you think integration is to the globalization of our world?